One of Atlanta's most visited shopping destinations is the ever-evolving Lenox Square. The city's most popular retail therapy is an "I've-done-my-cardio-for-the-day" 1.5 million square feet. 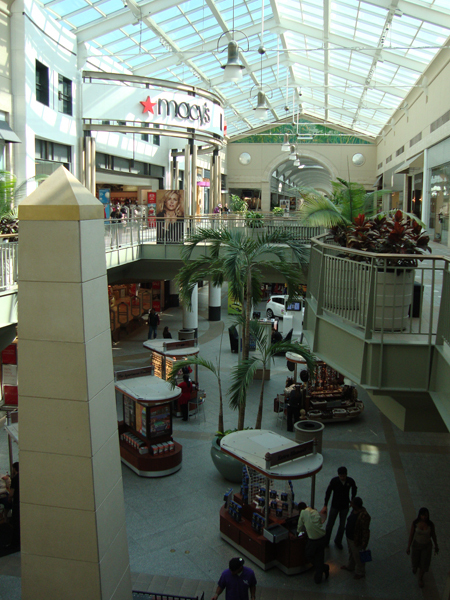 Anchored by Macy's, Bloomingdale's and Neiman Marcus, and home to more than 250 popular brand and specialty stores, as well as dining options for every budget, Lenox Square has something for everyone. The "everyone" is comprised of an unusual demographic. I recently read that approximately 40 percent of Lenox Square shoppers are out-of-town/state/country visitors and tourists. Of course, as a tourism blogger, I think this is brilliant. While exploring Lenox Square on this particular visit, I did in fact hear at least three languages, other than English, with dialects that made it difficult to know the visitors' native lands. Whether I know or not where a person calls home, I love to see people enjoying our city. 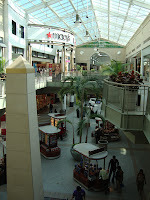 Most surprising on this particular visit to the mall was the onslaught of friendliness and willingness to help me find what I was looking for, nearly regardless of which store or dining establishment I entered. To do that in a way that comes off as genuine—in a way that truly makes you think that they're there to help you enjoy your shopping experience—well…it's enough to convince a person that some people take it to heart when they hear, "You can get more bees with honey than you can with vinegar." Many of the locals call the area where the mall is located "Lenox," but it's actually in an "edge city" of Atlanta, one of the city's ritziest neighborhoods—Buckhead. On the corner of Peachtree Road and Lenox Road, across from the Ritz Carlton Buckhead and Phipps Plaza—all within Atlanta city limits—Lenox Square opened in 1959 and was the area's first major shopping center. When its doors were flung open for business, the mall was a single-story, open-air plaza and included a grocery store and a bowling alley. 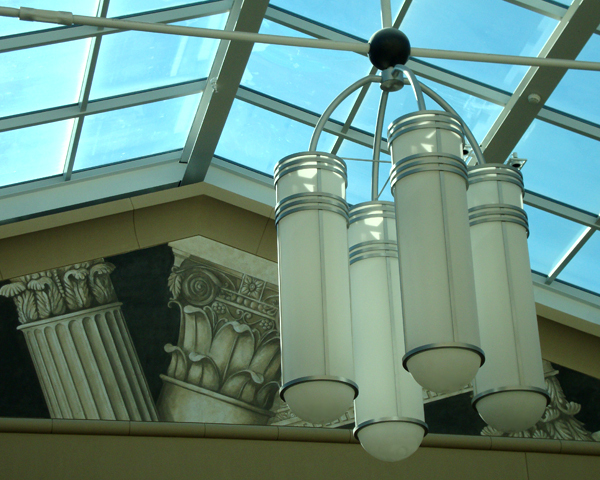 Over the decades, additions and renovations have been completed—adding shining glass, lustrous marble and dramatic lighting—to create the mega shopping experience that it is today. 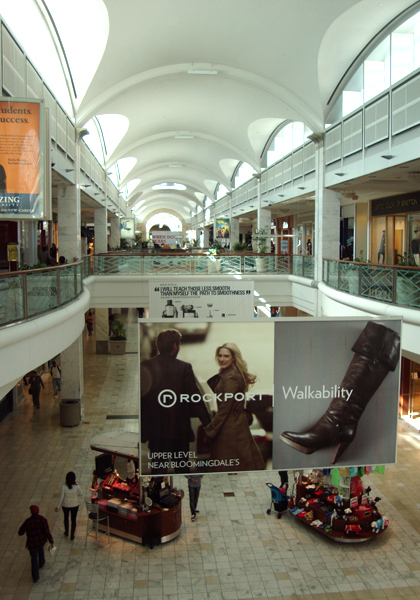 However, Lenox Square is popular for more than just shopping. It's also home of "Macy's Great Macy Lighting," a holiday season favorite that's locally televised, and an annual Fourth of July fireworks spectacle with live music and kiddie play areas. There also are, as far back as I can remember, brand new, highly polished, luxury cars on display throughout the mall. And on occasion, you might even catch a glimpse of a Hollywood star or sports celebrity…quite a few live in Atlanta, you know. Speaking of the holiday season, when you add Lenox Square to your list of destinations for gift shopping, arrive with an extra supply of patience. Although the mall has ample parking—8,000 spaces—it sometimes seems that Atlanta's entire population decides to go to Lenox Square at the same time this time of year. Be sure to allow ample time to get there and to find parking, especially if you're in a hurry. Although it's easily accessible from Interstate 85 and GA-400, the roads coming from those areas are narrow and busy. I've never seen any skeletons in the parking lot—no one has ever had to look for parking quite that long—so (if I may offer a little unsolicited advice), stay off of Santa's naughty list and be nice to others who are on the same adventure as you. If you'd like, you can tell Santa all about it while you're having your photo made with him once you're inside. 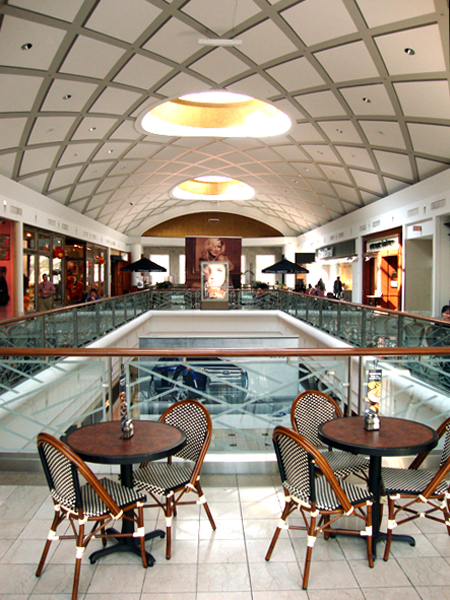 Dining options at Lenox Square come in a wide range. You can have low-cost, get-it-in-a-hurry meals, available in the food court, or opt for fine dining at Prime, which boasts "fine steaks and sophisticated sushi." 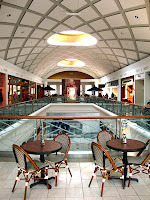 Or stop in one of the mall's many cafes for a coffee and a nosh. If you can't find what you're looking for, there are mall directories located throughout the shopping center and there's also a Guest Services desk located on the first level exactly in the middle of the mall. On this particular visit I received my first "you can't take photos here" slap on the wrist. I'd already ventured through the entire length of the mall—while taking photos—when a security guard stopped me from taking a photo of the multi-story atrium near the food court, where I had just had a quite tasty Mediterranean lunch. I succumbed to the directive, but more so out of being in shock than fully understanding what had just transpired. What I really wanted to know was how they police a "no photos policy" given the millions of camera phones finding their way through the establishment every year, undoubtedly many of them clicking away. I'll comply in the future, of course, but I remain bewildered. Before you even ask, yes, I will be returning to Lenox Square. As many shopping options as there are in a city the size of Atlanta, Lenox Square is a favorite…for shopping, window shopping, people watching and group outings, as well as the occasional need for retail therapy. Hours: Monday-Saturday: 10 a.m. - 9:00 p.m., Sunday: 12:00 p.m. – 6:00 p.m.